WARNING: this repair involves toxic chemicals. Use extreme caution when attempting this repair and see a professional if you are unsure at any point. You can only use this method if your watch case and band are both made completely of metal without additionally embellishments. The crystal on your favorite watch has become so scratched you can hardly read the time, what now? 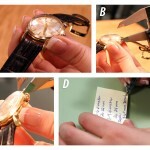 Don’t throw away your watch! 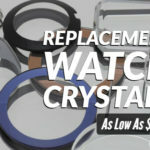 You can easily learn how to remove a difficult and damaged watch crystal with chemicals using this guide. If there are any embellishments on the watch case like gemstones or colorful painting or antiquing, DO NOT place the watch in the chemicals. 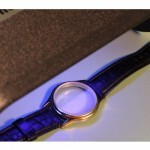 Start by filling your chemical resistant container with enough Attack liquid to completely submerge the watch crystal. Set the watch case face down in the container with the Attack liquid. Let it sit in the chemicals for six to eleven minutes. 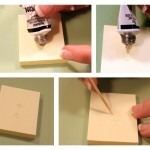 You will begin to notice a film forming at the base of your container, or bits of dried glue collecting there. Remove the watch case from the Attack chemical with your watchmaker’s tweezers and place it on your heavy cloth. 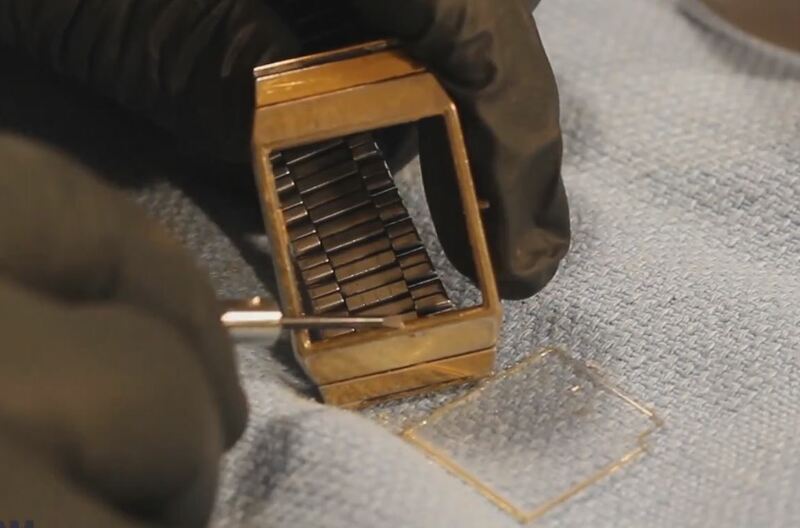 Grip the watch case through the cloth to avoid touching the chemical soaked metal with your fingers and push the crystal out of the watch case from the back if it hasn’t fallen out already. 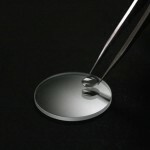 Wash the watch case under running water to remove any remaining chemicals from the soak. 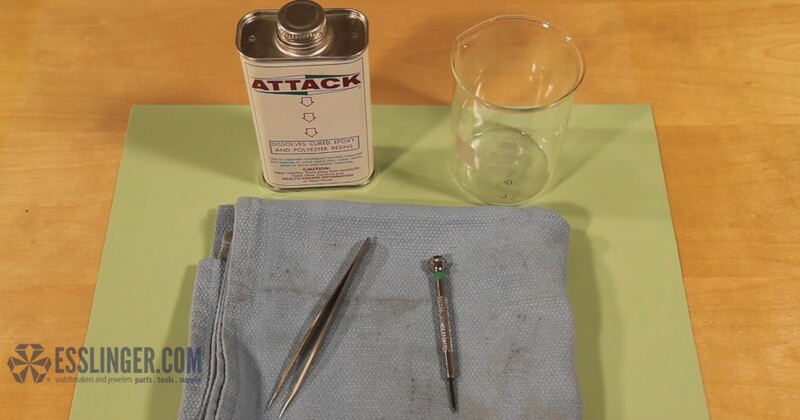 Once you are sure that the watch case has been cleaned of chemicals you can take your flat head screwdriver and gently scrape any remaining glue from the ledge of the watch case.